Reliable report says that Lennon’s amp, sold at auction in New York in 1998 , conforms to the standard 7120 circuit; only one capacitor and one resistor are positioned differently in relation to the (later) amps examined by our source. Alan Harding, an engineer at Vox in the 1960s, indicated separately that JMI/Vox did not do things differently for bands, ie. the Beatles received the production model of the time. 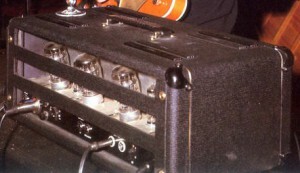 The early style of box with removable back panel in AH’s view was not specifically a means of aiding valve replacement (at least during live shows). Concern centred more on whether the speaker cabs would handle the power of the new amps. The removable back panel presumably followed on from the design of existing boxes (AC50s and AC100s), but was then changed. In none of the surviving / known photos of the band on stage can a spare amp be seen (though a spare cab was provided at first). Vox/Triumph evidently felt confident about reliability – the amps did contain transistors after all :-). 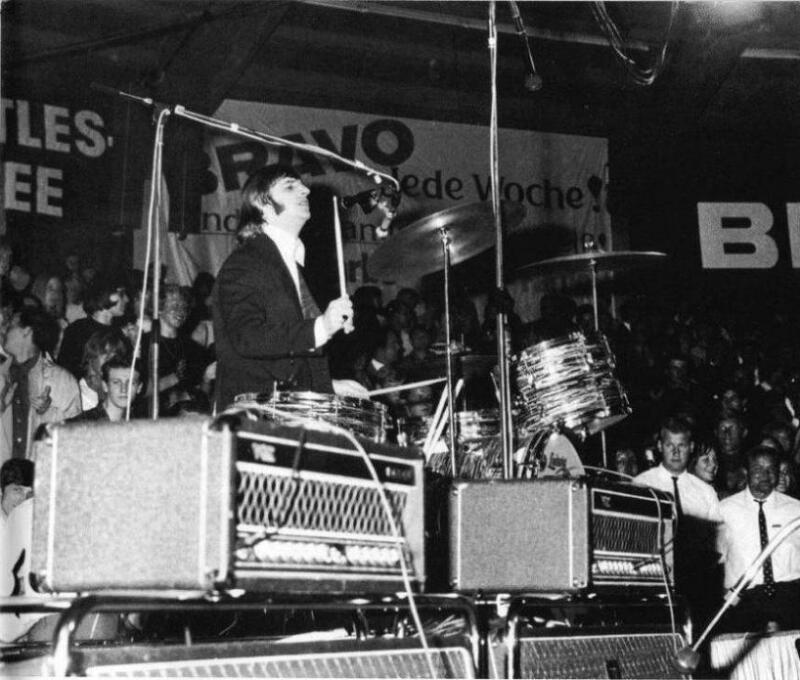 And few problems seem to have arisen – the Beatles used their small box 7120s from May-August 1966, both in the studio and on stage. Paul’s amp had a BASS logo to distinguish it from John and George’s; and presumably its tone stack was voiced along the lines of a 4120, effectively only one resistor and capacitor value different from a 7120, but a huge difference in terms of the sound obtainable from channel 1. The BASS logo doubtless served to stop Mal Evans putting this amp inadvertently on John or George’s cabs. Otherwise why the logo at all? 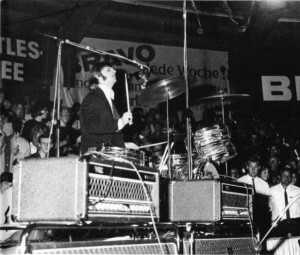 Several questions revolve around Paul’s amp though: why did it *apparently* have effects? Does tremolo work with a bass? Could the electronics inside simply have been those of a 4120, but the panel that of a 7120 to match John and George’s? The intention seems to have been, at some stage, to build small-chassis small-box 7120s in a run, ie. not just for the Beatles. Standard 4120 and 7120 transformers fit perfectly, albeit snugly, on the chassis of a 730 – and as we know, the Beatles amps were, give or take a fraction of an inch here and there, that size (ie. the size of a 730). Hardly an accident. The power amp schematic for the 4120/7120 (the two amps are identical) is dated 17-3-1966. The preamp schematic for the 7120, as we have it, dates from Nov. 1966, but gives the initial date of release as 25-4-1966, which is close to when the Beatles first received their amps. Unfortunately the schematic omits some intermediary changes in the circuit (which can be seen in surviving amps). 1) The cost and labour involved in forming sloping cutaways on the chassis for the valves. 2) The huge fiddle of fitting components in the exceedingly tight space in the well of the upper chassis.